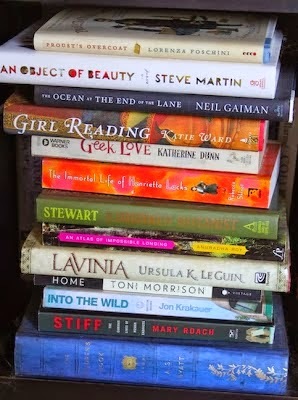 It's hard to believe that we're almost finished with the current reading cycle for the Inspired by Reading Book Club! We have just two more titles left and then it's on to the next selections! For May, we're reading "The Children's Book" by A.S. Byatt and then for June we're reading, "An Atlas of Impossible Longing" by Anuradha Roy. CLICK HERE for the 2015/2016 book picks. 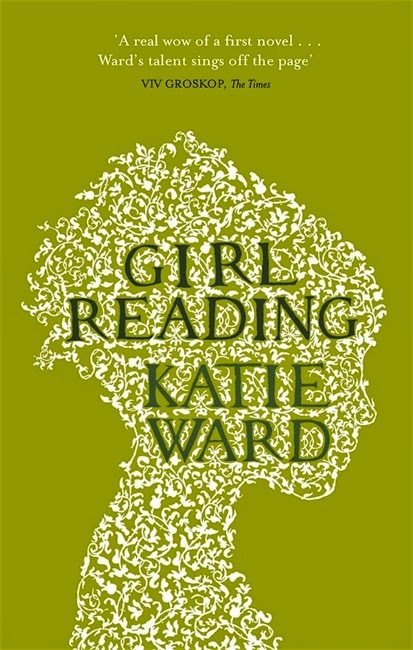 For April, we read "Girl Reading" by Katie Ward. The novel is a chain of stories taking place in different time periods, detailing the relationship between artists, books, and women. The book was met with mixed reactions. I have to admit that I struggled at first getting into the flow of the book. It's written very stream-of-conscious, and there's a distinctive lack of quotation marks indicating dialogue. So it's important that you really focus on which character is speaking and saying what, otherwise it is easy to get lost and confused. Once you get into the rhythm of the book and can hear the author's voice, the stories are quite interesting! We unfortunately postponed our in-person meet-up. I think everyone is super busy this time of year and we just couldn't get it together. We'll make up the meeting though... we still have the movie version of Into the Wild to watch (from a few months ago). Since we didn't have any meet-up pictures, Laurel sent these pictures of her reading and her daughter reading. They fit the theme of the book perfectly. Laurel made this necklace. Here's what she had to say about it: "This is my 1916 piece. It was inspired by the broken heart of the young sister who spent her time in the vignette pining after an artist at her sister's home. The sister was absorbed in her work and didn't seem to notice men at all, but after a lot of spirits and dancing one night, she ends up breaking her sister's heart by getting tangled up in a tryst in/on a multi-colored quilt on the floor of the drawing room. Discovered quietly by her sister the following morning, the story ends with the characters and the reader asking themselves a lot of questions. 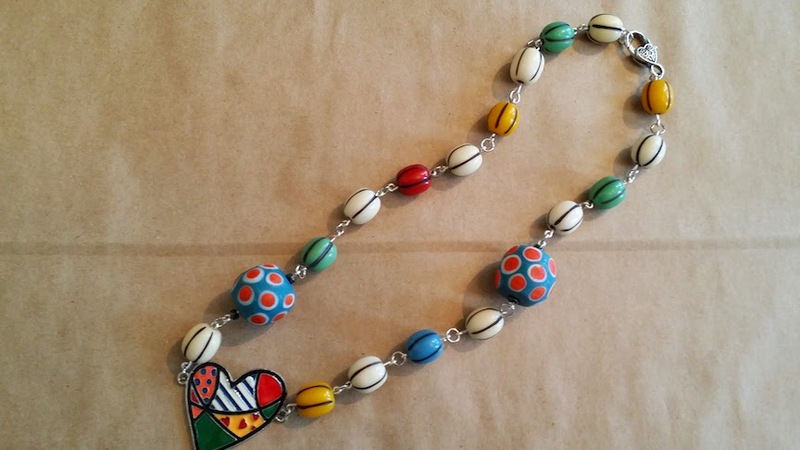 The necklace is made up of resin and Javanese glass with a patchwork cloisonné heart." I made this piece. It was inspired by the first story in the book about the painting of the side altar, Annunciation with St. Margaret and St. Ansanus. I've always loved this painting. Perhaps due to the expression on the Virgin's face. Instead of the blissful serenity found in so many annunciation paintings, this one shows a little bit of skepticism and incredulity. I can almost hear her murmur, "Say what?" In any event, the pendant is made out of polymer clay. I did a clay transfer, but I didn't care for the black and white, so I painted in some of the colors. I hung the polymer pendant from wire-wrapped freshwater pearls, and antique brass peanut chain. 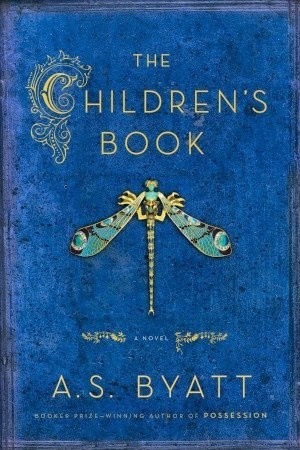 Up next is "The Children's Book" by A.S. Byatt. CLICK HERE for the full list of the remainder of this year's books. The next series of book selections starts in a few months. CLICK HERE for the full list. The in-person meet-up for "The Children's Book" is scheduled for Wednesday, May 27th. The blog hop is scheduled for the following day on Thursday, May 28thth. If you're interested in keeping up with us and what we're doing in the book club, CLICK HERE to visit our Facebook page. CLICK HERE to check out our supplemental inspiration on Pinterest. 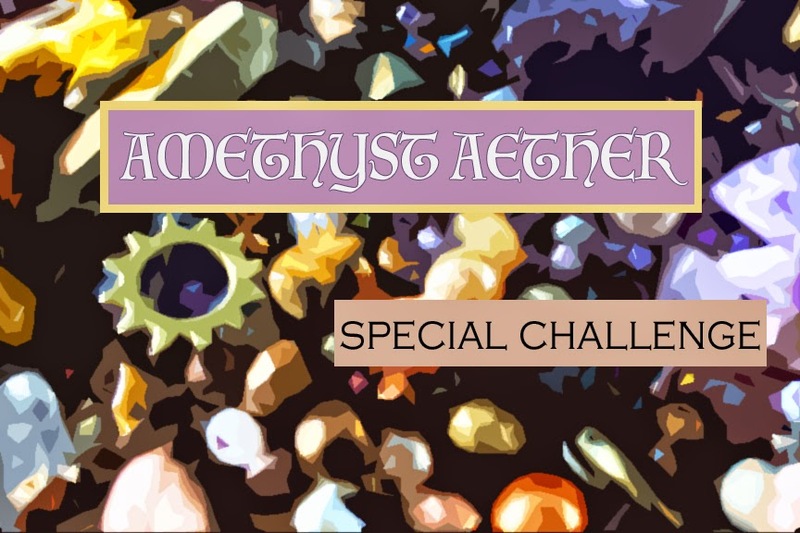 Today is the day for the Reveal for the Amethyst Aether Special Challenge! So exciting! CLICK HERE to take a look at what went into the kit and was sent out to all the participants. This Steampunk-inspired kit blended shades of antique brass, striking copper, burnt gold, and pale purple. These pieces were made by Jo Pound. Here's what she had to say about them: "I had great fun with the kit and it didn't hurt that my two favorite colors are purple and copper! I am certain that is the reason this kit really spoke (actually screamed) to me! There were so many beads that brought on so many ideas and I tried to use as many as I could, with only adding some copper seed beads and my sister-in-law's watch faces and tiny gears." "I made the necklace using the "mystery" piece furnished by Andrew which provided the theme of Steampunk. I have always wanted to try that style and these beads gave me the perfect opportunity. Using the silk and suede for the neckband was something I had never done before. I bead embroidered the handmade disc by Andrew and added some small gears on the edges, and then backed it with copper metallic leather." Here is a detail shot of the cuff bracelet made by Jo Pound. 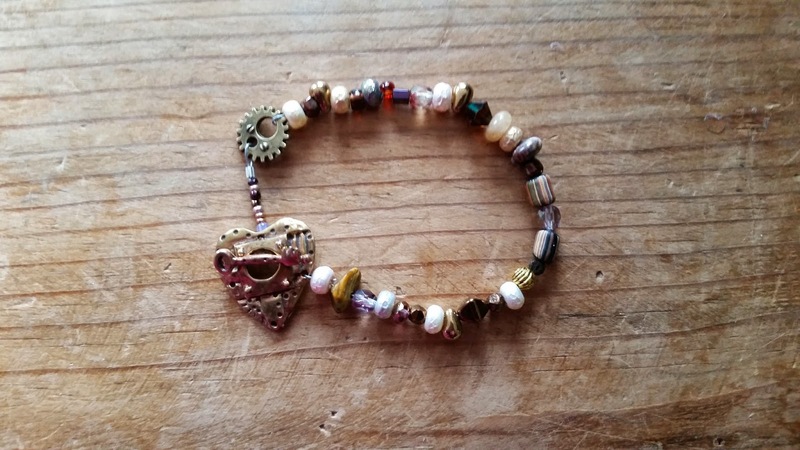 "I bead embroidered the bracelet using the two watch faces, small gears and copper seed beads that were my additions to the beads that came i the kit. I think of Steampunk as the use of gears from watches and machinery which gives it an industrial look with lots of "stuff". I also lined the bracelet with copper metallic leather." This is a shot of the earrings Jo Pound made and a beauty shot of all the pieces together. "I made the earrings with beads used in the necklace and bracelet. I glued small gears on the face of the disc beads." 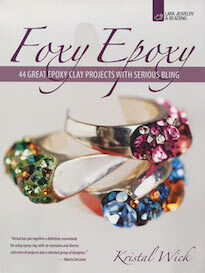 "I had great fun designing in my sleep and then trying to implement it all into some really fun jewelry!" 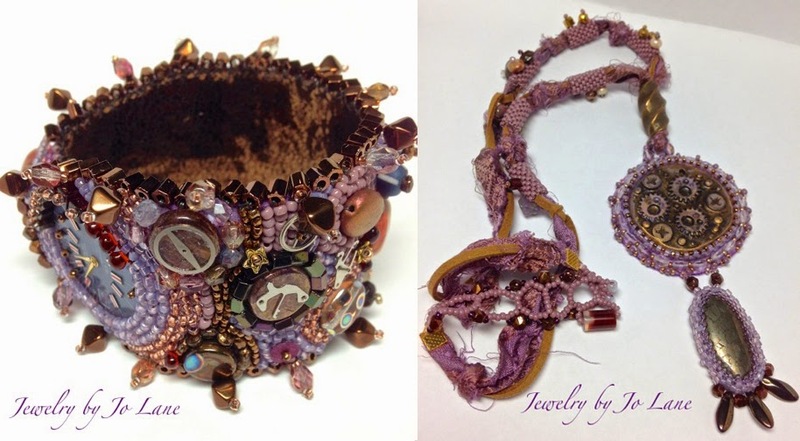 "Thanks to Andrew for providing the kits and also to my friend, Janice, who let me know immediately when the kits became available because she knew of my love of purple and copper! My Facebook Biz Page is Jewelry by Jo Lane where you can see lots of my other pieces and collections." 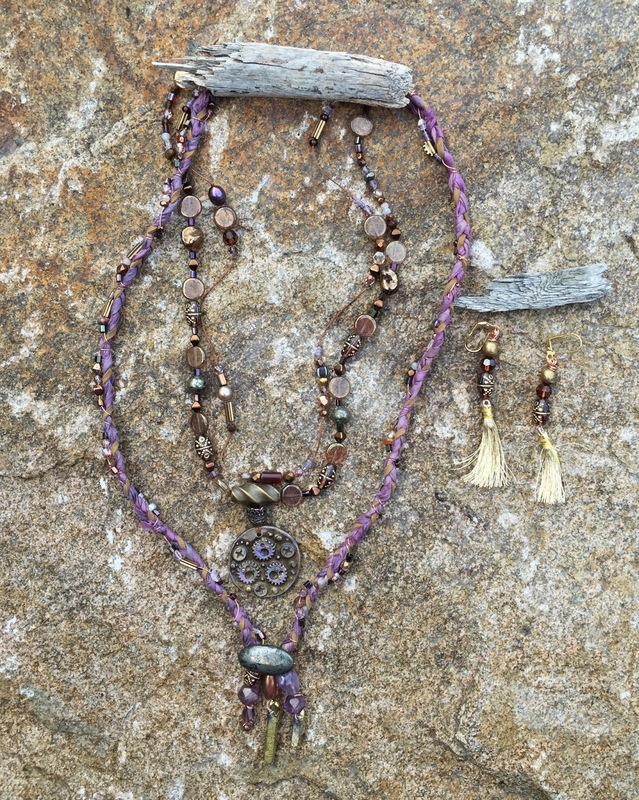 These pieces were created by Donna Hoblit of VeraDonna Treasures. 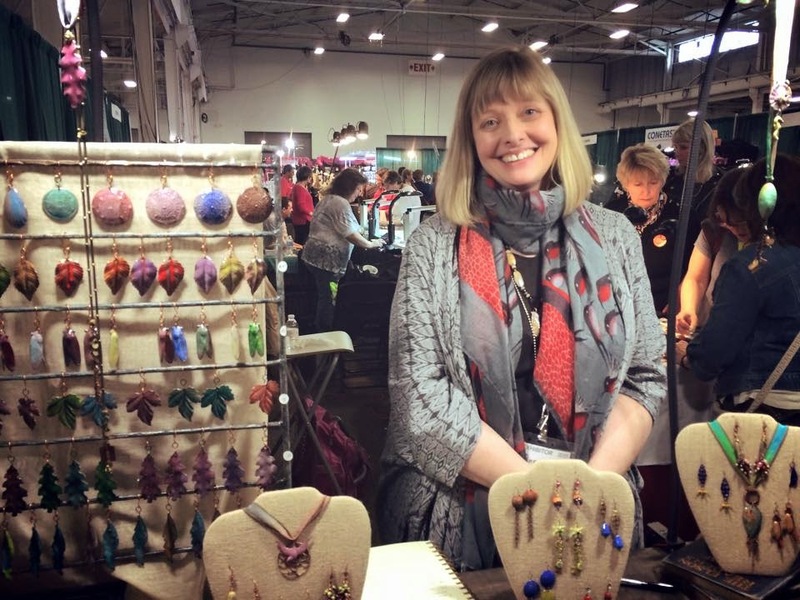 Here's what she had to say about them: "I put together this necklace using antique watch chains, water faces with a clasp by Earthenwood Studios. 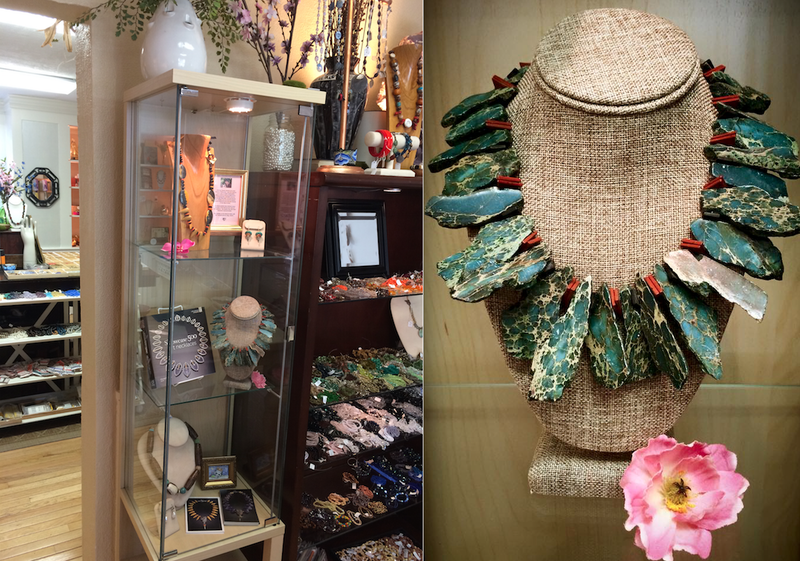 This combines two of my past times: collecting antique jewelry, and making modern jewelry with a twist." These pieces were also made by Donna. 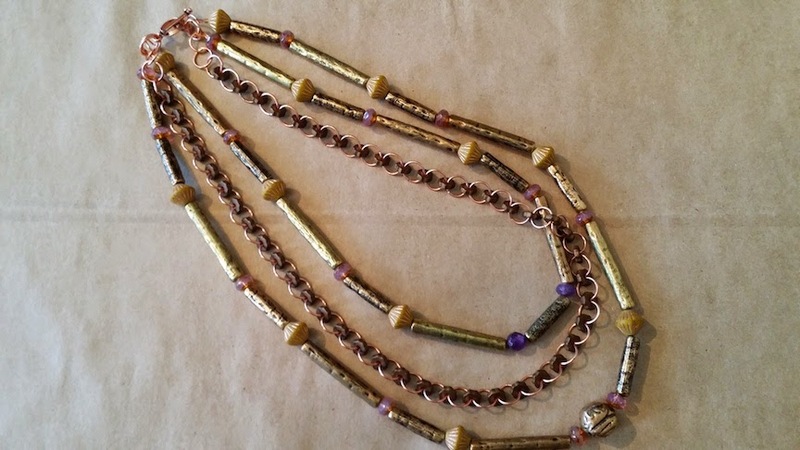 Here's what she had to say about them: "This necklace is strung with my favorite new material... waxed linen! It uses mixed metals and the pendant is made by Earthenwood Studio. I enhanced the pendant with a vintage pocket watch case and rusty key." 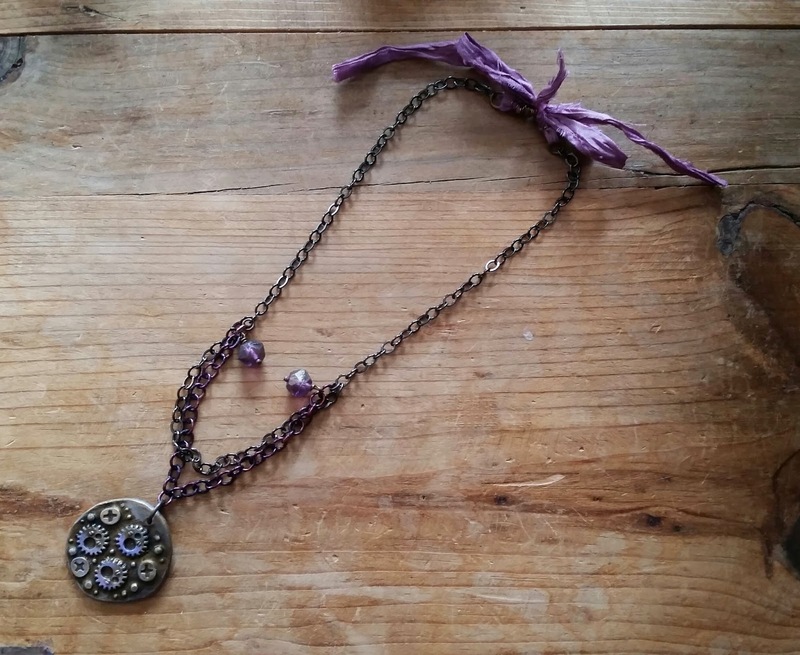 This necklace was made by Julie Tomes. Here's what she had to say about it: "I loved the color combination in this challenge! Because this was my first time participating, I wanted to keep things pretty simple. 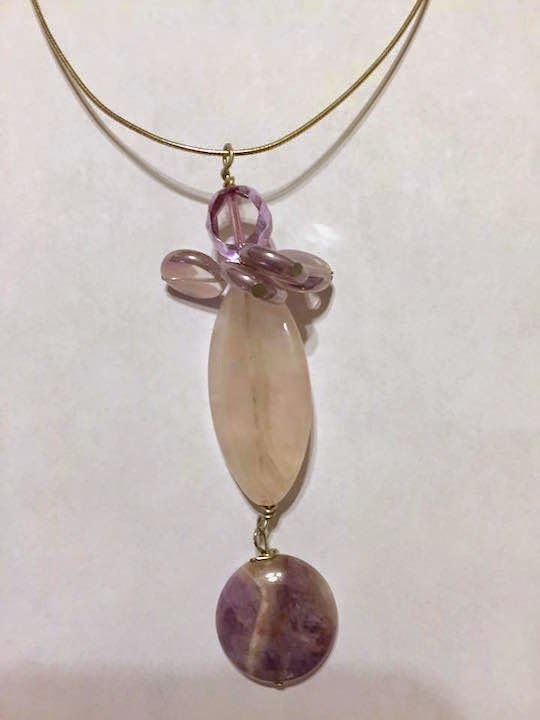 I really didn't want to take the focus away from the pendant in my necklace, so I hung it from chain and embellished it with a few dangles and some ribbon." This bracelet was made by Julie. 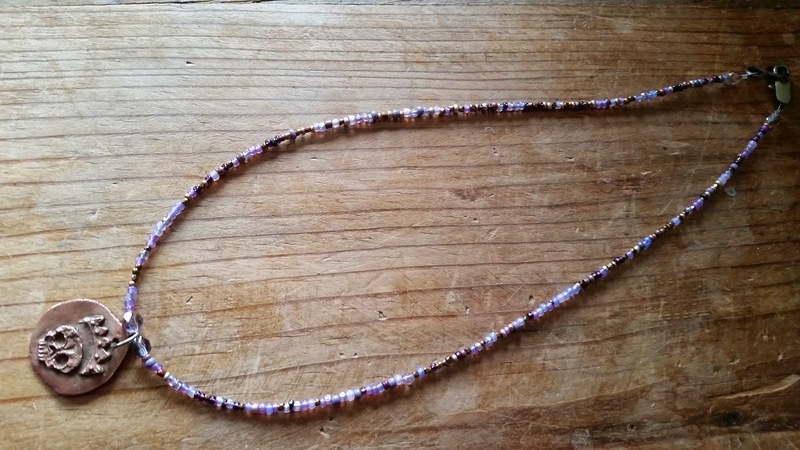 Here's what she had to say: "I had scraps of memory wire to use up for my bracelets. 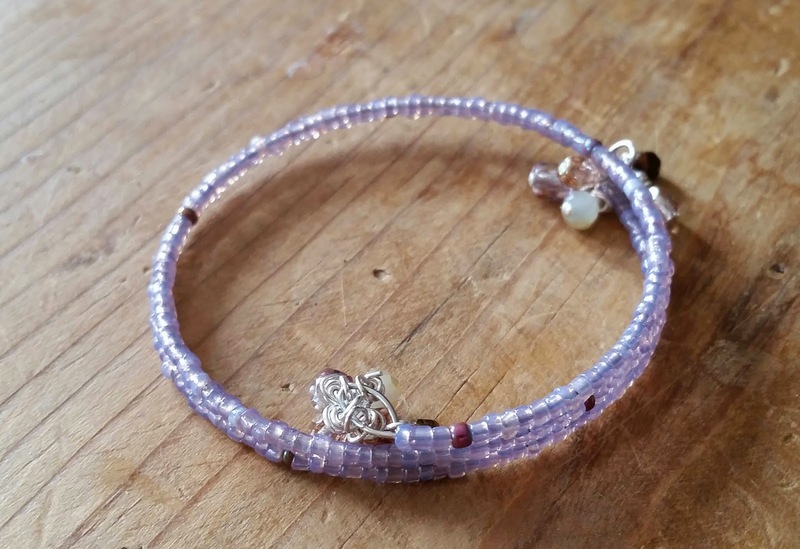 I tried all purple for this one and I closed my eyes and randomly picked beads for the other." 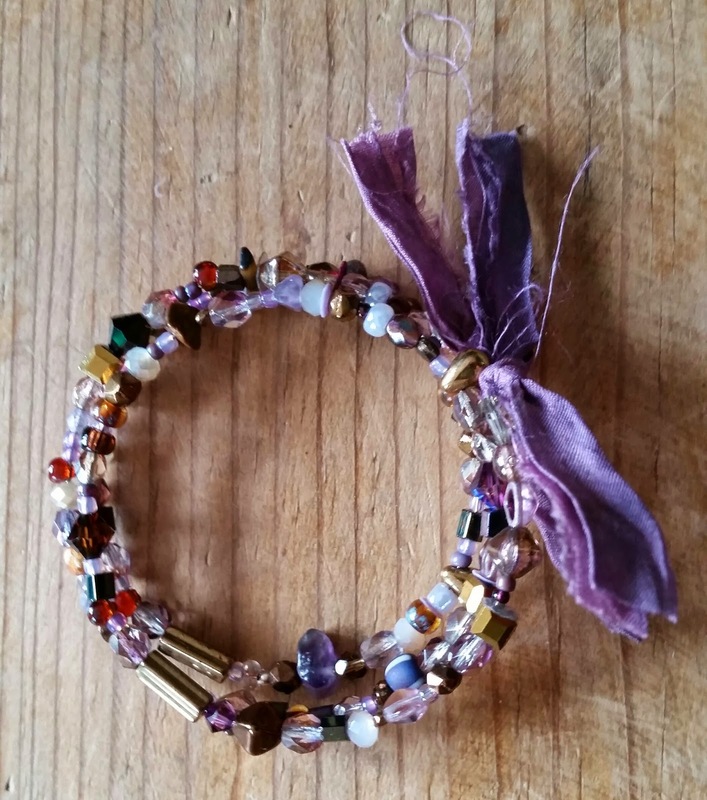 This memory wire bracelet was also made by Julie. Julie ended up turning this into a family affair and her daughter created these pieces. Here's what Julie had to say about her daughter's creations: "My daughter, Emma (she's 11) also loved the colors and the whole idea behind this challenge. She just finished reading Neil Gaiman's "Neverwhere" and was in a Steampunk kind of mood. I let her raid my bead stash and these are the things she made. The necklace features a copper crowned skull coin from Andrew. I got it from him a few years ago." This bracelet was also made by Emma Tomes. "The toggle is bronze and is from Green Girl Studios. It goes with the theme perfectly!" 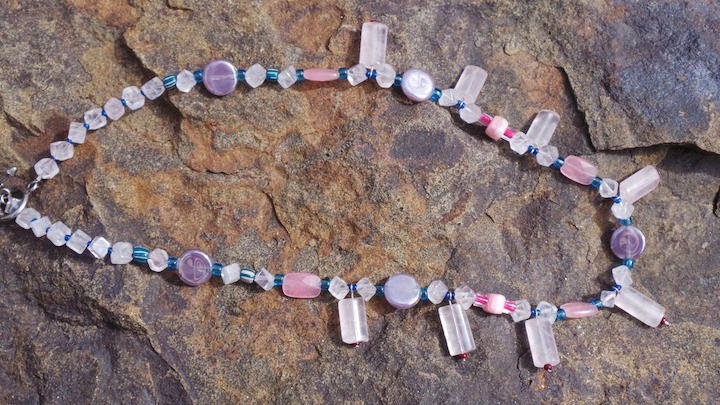 This necklace was made by Laurel Ross. Here's what she had to say about it: "I love the Hamilton Gold I used, because it gives the necklace an industrial feel of pipes or tubing. The coated bronze wheels also add to the Steampunk vibe as do the patinas and the mixed metals. Fun challenge! Thanks as always, Andrew!" These pieces were created by Lisa Mendum. 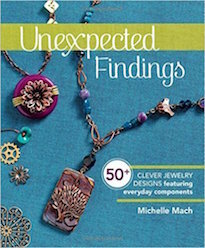 Here's what she had to say about them: "Loved every bead as usual, but my ideas were all over the place. I still had so much fun creating from Andrew's bead picks and looking at everyone's wonderful creations!" These earrings were made by me! I haven't had a lot of time lately, so I whipped up a few pairs of earrings. They're pretty simple, but I love how dangly they are. I also made this really simple bracelet. I think it has a nice, eclectic look and really speaks to the diversity of the items in the kit. One of the things that I love about Steampunk is that the feel can be conjured up without being so literal. So you can use metallics and pastels and still pull it off. But wait... there's more! 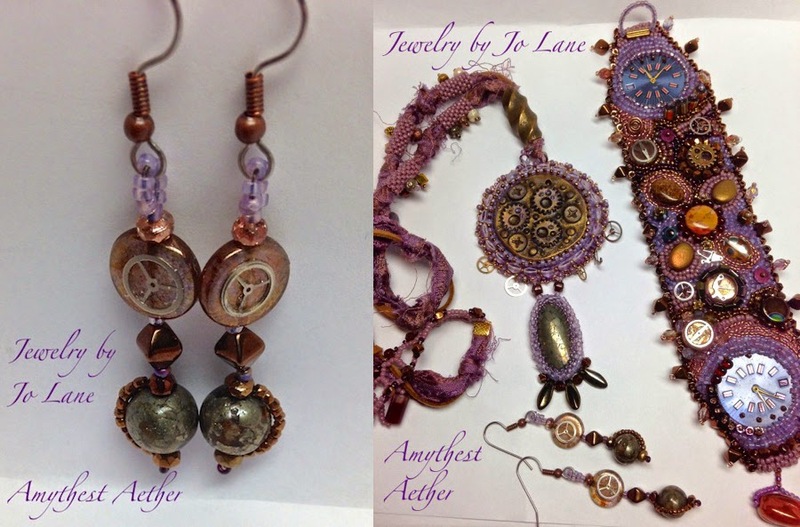 Check out what these participants made for the Amethyst Aether Special Challenge! 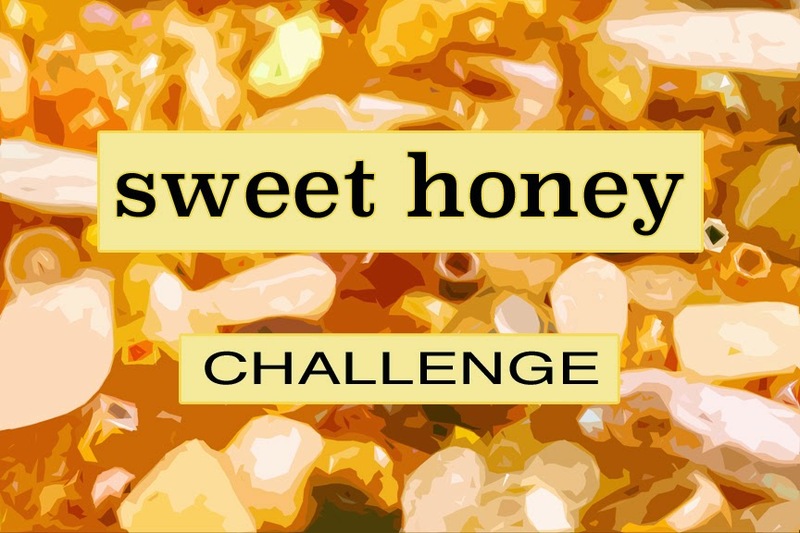 Up next is the Sweet Honey Challenge! The reveal date was set for Thursday, May 14th... BUT... I'll be away and when I come back, we'll be jumping right into a big event! So, I'm going to push it back a week. The new reveal date is Thursday, May 21st! Make a point of dropping by and checking out all the sweet creations! Had you asked me then where I'd be in ten years, I imagine my answer would be very different from the reality of today. I saw my fate intrinsically connected to the City and it was hard for me to imagine ever leaving it. But eventually I did. Things change in the most unexpected ways. While I sometimes miss that dreamy ambition and the fearlessness of young adulthood, what I have now is so much... more. I was unprepared to discover happiness then and I wasn't open to fulfillment. What I remember most of those years was an ever-present hunger. I wanted it all and more and was never satisfied. Part of me was empty and I tried desperately to fill that vacancy. At the time, only a city of millions of nameless strangers could come close to filling in that hollowed out space. Now I look at this picture and I see someone dreaming of unknown bright futures. I see a person clearly, that cannot see me. He looks past me, because he cannot imagine who I am, the person he'll grow to be. I'm excited for him. For there is a rich road ahead, filled with more than he could dare to dream. Not only did Candice send some beautiful jewelry, but she also packed a few treats for us! She included some snacks that are hard to find on the mainland and two tiny lucky kitties! Above is a picture I snapped of them added to one of the shelves of my lucky cat collection. The shelf is mounted above the register at the gallery and is meant to attract luck! I think they're purrrrrrfect! Thanks, Candice! The very talented Candice Wakumoto just sent a package of her jewelry to the gallery! We are really lucky to represent this award-winning artist from Hawaii! When I opened the box, I was blown away by how awesome the pieces are! 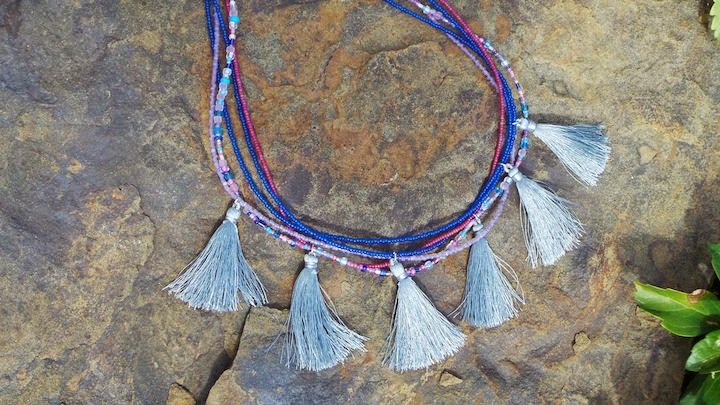 She's one of my favorite jewelry designers and crafts such unique, show-stopping creations. Here's a picture of her display and a close-up of one of her necklaces. Drop by Allegory Gallery to see them in person! Heather gives us a peek into her studio while she's prepping for a trunk show at the same time she has to keep up with regular orders. How do you cope when you have too many deadlines? "Hello." Here's a bright, cheery butterfly spring card with die-cut embellishments to brighten someone's day. 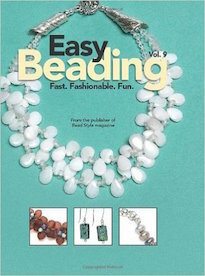 Cyndi has compiled a list of links to her tutorials for little seed bead components that are endlessly useful in her work! 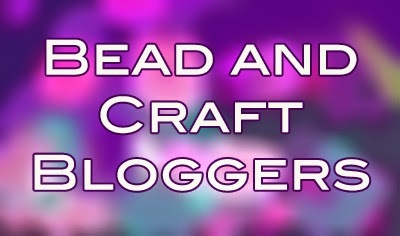 This craft video podcast is full of knitting, crochet, and beading! 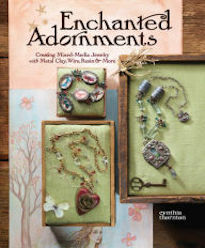 Take out your current craft project, and craft-along with the Crafty Princess. 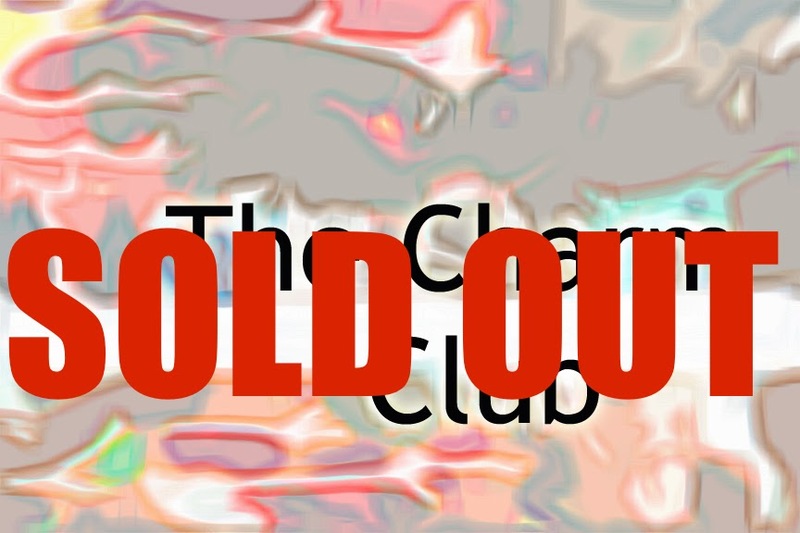 I just wanted to say THANK YOU to everyone who is participating in this edition of The Charm Club! I really appreciate it and hope everyone will enjoy the little treasures that I'll be sending out all over the country every month! 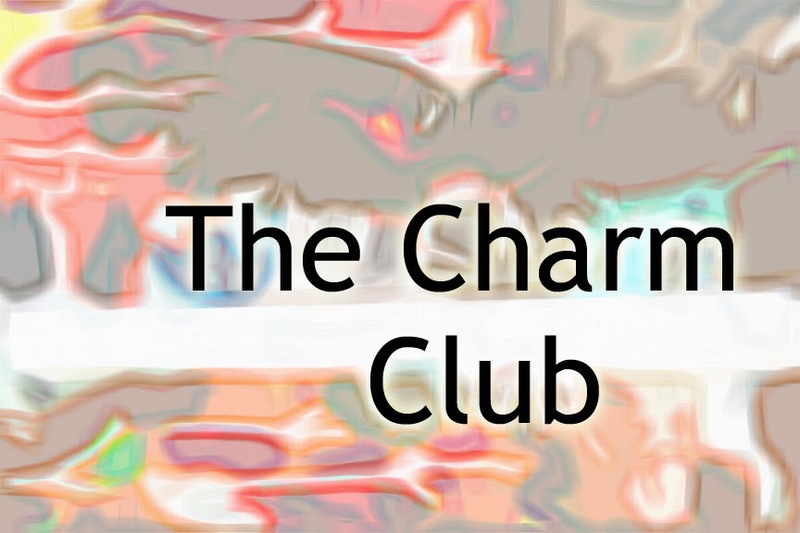 Don't know what the Charm Club is? CLICK HERE to find out more. If you missed out this round, fear not! I'll be doing another round starting in November. Thanks again for all your support and for believing in me! 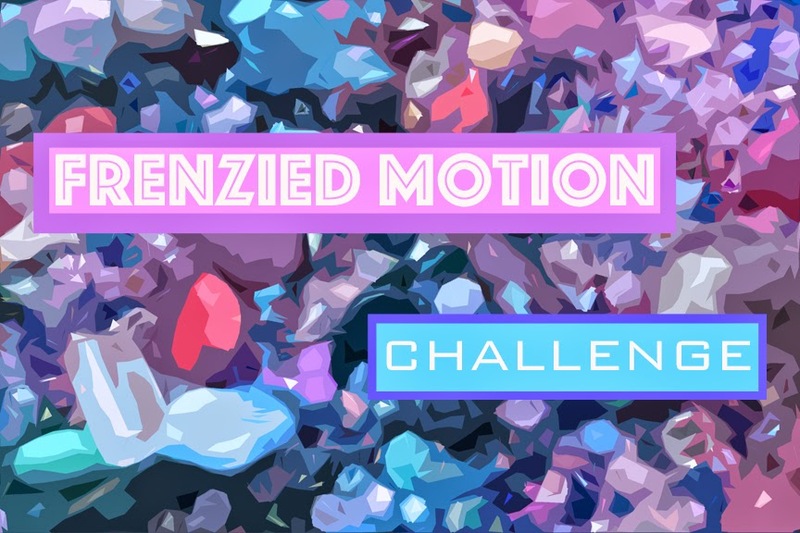 Today is the reveal for the Frenzied Motion Challenge! Hurray! CLICK HERE to take a look at what was in the kit. It was a vibrant blend of shocking pinks, icy blues, and cool purples. This necklace was made by Laurel Ross. This necklace was also made by Laurel Ross. This matching set was made by Lisa Mendum. 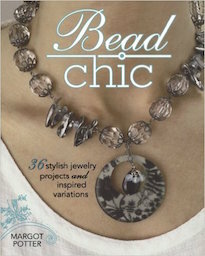 Here's what she had to say about the pieces: "I had a lot of fun using this challenge's bead colors! Wish I would have had more time to make more!" This pendant was made by Joanne Goldberg. This necklace was made by me. When I thought about the idea behind the kit, I knew I wanted to incorporate motion. So the focal is made up of a length of chain embellished with wire-wrapped dangles. I added lengths of strung dyed jade on either side. I think it's bright and fun! But wait... there's more! Check out what these participants made for the Frenzied Motion Challenge! Up next is the Amethyst Aether Challenge! The reveal date was set for Wednesday, April 22nd to celebrate the first transatlantic crossing of the steam-ship, the SS Sirius, but I've pushed it back a day. The new reveal date of this Special Challenge is Thursday, April 23rd! 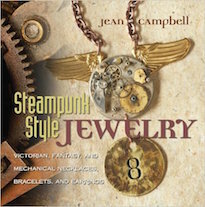 Make sure you drop by next week to see all the lovely Steampunk-inspired creations! Back in 2008, my friend Norma had an idea to help me raise additional funds for some of my creative projects. The Charm Club is basically like a Cheese-of-the-Month Club, where you get a new and different cheese every month in the mail. Instead of cheese, you'll get a limited edition charm made by me! I recently thought of The Charm Club again after reading an article about Picasso. He had arranged to sell paintings, sight unseen to a group of patrons in advance of making them. The financial security allowed him to focus on the making of art instead of the paying of bills. And I thought it might be nice to bring back the idea to help finance some new projects! During the first two cycles of The Charm Club, I offered three months for $75. I focused more on fancier and more elaborate pendants. This time though, I am creating SIX charms instead of three! I'm really excited about this, because it's an extra challenge for me to think outside of the box and to push myself creatively. The first charms will be ready by the middle of June. One of the perks of doing The Charm Club now is that I have more help. Before I got bogged down in organization and shipping. Now that I have more help, I can focus more on creating really cool pieces that I hope people will enjoy and be able to incorporate into their own work or cherish for years to come! The plan for the money I raise through The Charm Club is to get new art supplies, tools, and finally bring some of my ideas to life! But wait... there's more! If you sign up and pay before the 1st of the month, I'll include a small, postcard-sized collage painting made by me! That's right, folks! I used to retail these for $250 - $350 each! So not only will you get to enjoy six months of charms in the mail, but you'll also receive an original artwork! HURRY! Act now! Space is limited! CLICK HERE to visit the online shop to sign up! Email us if you have any questions. I hope you'll get to play along! This should be really fun! Now that the weather is getting nicer, I'm determined to venture forth a little more. It's hard for me, because I naturally gravitate towards work. I guess that's because the work that I do is more than just a job, but a calling. I love what I do. Creativity is my passion. The problem with this though is that it's easy to become myopic. This is particularly dangerous for me, because I draw a lot of energy and inspiration from the world around me. Without this stimulus, I find it (increasingly) harder to create. In the interest of sanity and productivity, I've settled on making small trips to stretch my mind and legs. Today's adventure includes a trip to Adam Falls in Linn Run. This picture is slightly deceptive. 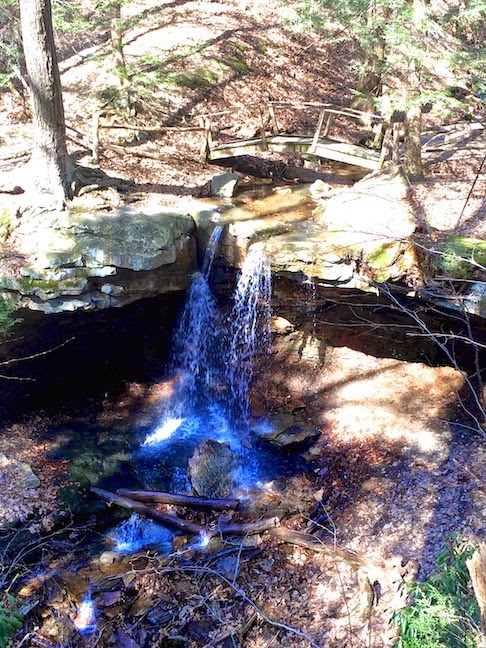 Without anything for scale, it looks like it could be a small waterfall in a water feature in someone's yard. In actuality, this is quite impressive! The logs at the bottom of the waterfall are huge tree trunks... not branch fragments. The tree seemingly growing out of the rock isn't a little sapling... it's a massive oak tree! 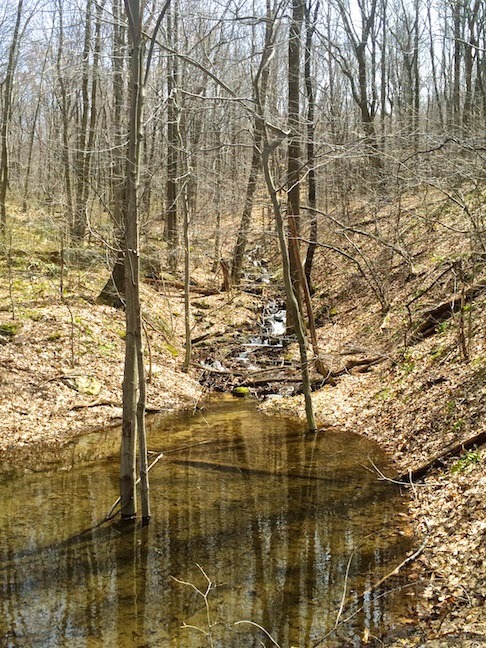 The mile-long trail that circles above the waterfall is quite rocky and a little tricky to maneuver across. But the rock-studded landscape is beautiful. Along the path, there are old cabins that burnt out long ago. The chimneys seem like they're barely standing, but they endure! 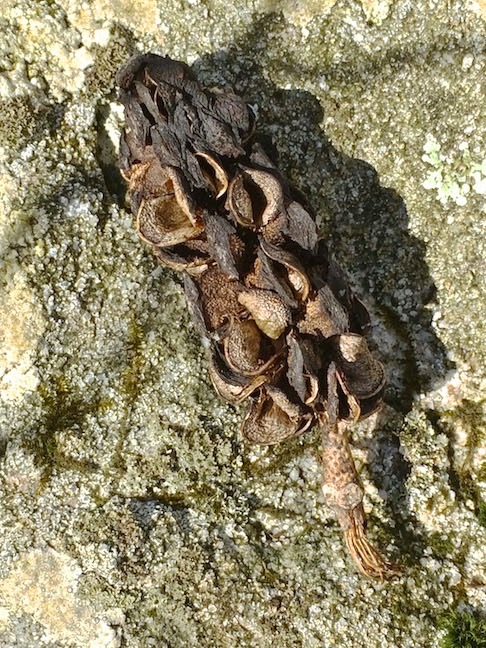 Here's a seed pod that I took a picture of along the way back to the car. I believe it comes from a cucumbertree magnolia. Another artifact found from the burnt out cabins. It may just be an old, rusty bed spring, but I love the way it makes a spiral. It's almost hypnotic how it draws the eye in towards the center. It tells a story of what once was. At the last minute, we decided to go on a Botanical Society walk. We've been caught up with work and it's easy to fall into a rhythm of work-home-repeat. (And for a workaholic like me, even the sanctuary of home isn't safe from work!) So, we decided to take a day off and go for a walk. Unfortunately, we picked the wrong Roaring Run and missed our friends from the Botanical Society. (They were at the Roaring Run outside of Apollo.) Even so, we decided to make the best of it and have a good time. We spent the afternoon walking the trail, identifying plants and exploring Roaring Run (in Champion). It had rained recently and the water was moving well! Close to the water, it was easy to see how this area got its name! At points, you couldn't hear anything except for the rush of the water over stones. Along our walk, I found this huge blob of sap. It was about the size of a squashed baseball. I looked around, but couldn't find where it came from. I imagine it was high up in the trees and plunked down. I was tempted to take it home and see if I couldn't perform some kind of experiment on it to transform it into a hunk of amber... but the thought of transporting a sticky mass without incident was enough to compel me to leave it where it lay. William took most of the pictures from our day. It was still early in the year, so there wasn't too much out. But we did find lots of acorns from oak trees, a variety of mosses and ferns, ground pines, downy yellow violets, teaberry, wild yam vine, spring beauties, turkey tails, and scarlet cups. I did manage to snap a picture of what I believe is rue anemone. On a side note, I think I'm going to have to find or make a lightweight backpack for myself. It would make carrying around things like our field guides and bottled water easier. I'm always awestruck when I think about all the little treasures and magical moments that surround us. Sometimes you just have to stop and look more closely to see them. For instance, I bent down to tie my shoe and saw these tiny little snail shell. I probably wouldn't have spotted it without the momentary delay. It's a lesson that I have to remind myself of often! Not just stop to smell the roses, but to take in this beautiful, complex, and enchanting world we live in! 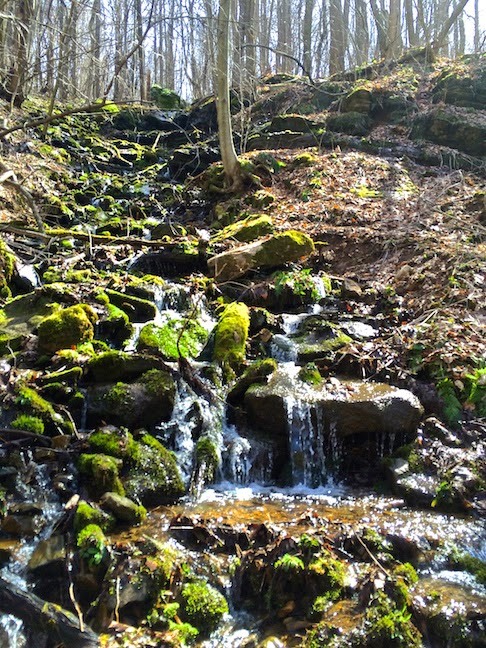 Along one of the paths was this waterfall that trickled down over the ridge. Where the water touched the rocks, life emerged bright and brilliantly green. It was almost unreal how vivid the green was against the brown. I'm looking forward to more walks in the future and taking a little time to enjoy the natural beauty that surrounds us. Winter is coming... actually, it's spring! But the new season of Game of Thrones starts soon. See what Andrew created for a jewelry challenge that pays homage to the books and television series. Prime are all the rage these days and Connie is fascinated with them. She's added a new free pattern that is inspired by all the primitive designers she admires. It will have you "crowing" in anticipation of a quick finish. 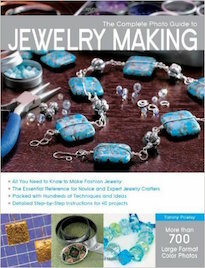 If you'd like to try bead-weaving, here's a great way to learn. Look at the ring Eileen made in her first attempt. 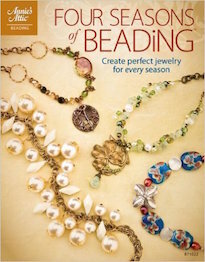 I originally wasn't going to attend the spring BeadFest show in Philadelphia. We've been so busy lately, that the thought of leaving for a long weekend was laughable. But... it just so happened that my "work from home" day aligned with plans a friend made to go out for the day. The temptation of all the treasures and many friends was just too much to forego. So, dark and early, I met up with Alison and we made our way out to the show. 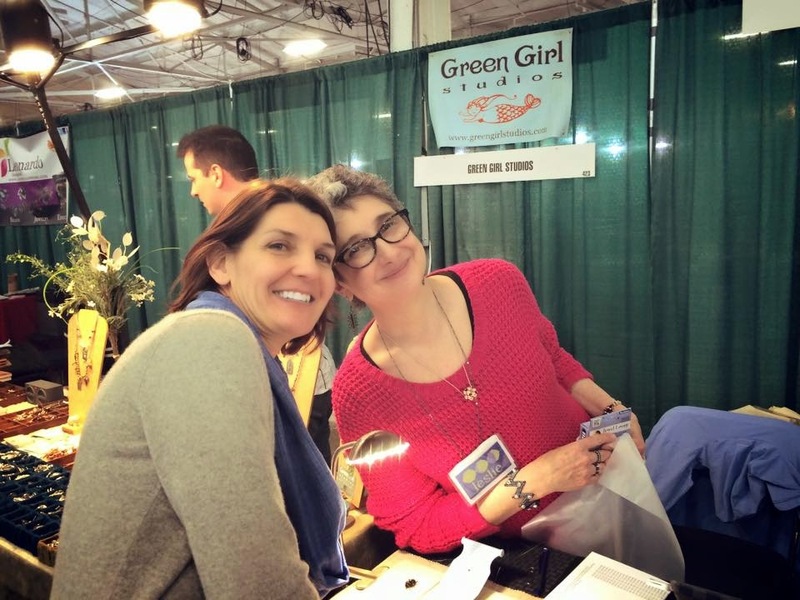 Dana Groves of Interweave/F+W and Leslie Rogalski of Sleepless Beader. Jenny Davies-Reazor, (my brother-in-law) Greg Ogden of Green Girl Studios, and Sak and Liz Chumtong of Saki Silver. Joan Miller of Joan Miller Porcelain. Meredith Roddy of Beadalon, Ren Farnsworth of Designs in Glass, and Maria Richmond of Lost Marbles. Anne Gardanne of Gardanne Beads. 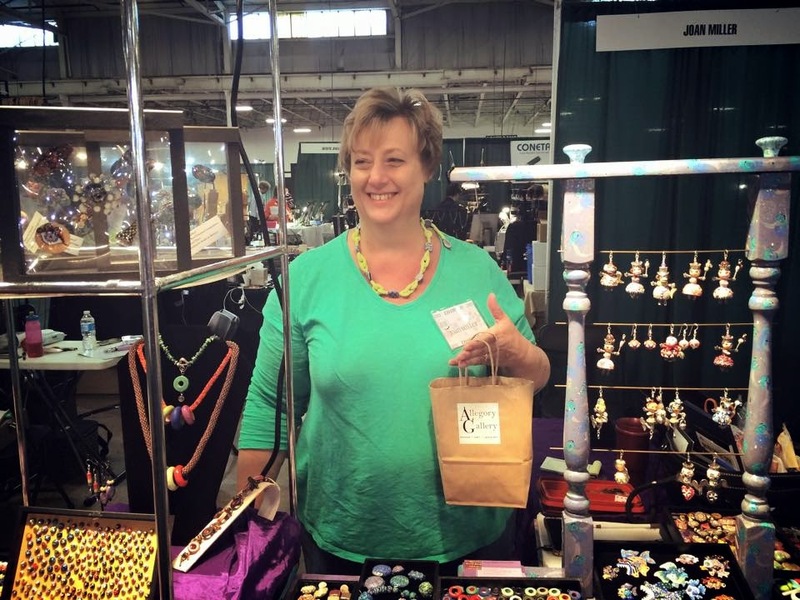 Keysha Whitsel of Keysha Koy Glass, Maureen Henriques of Pumpkinhill Beads and Kris Schaible, and Michelle McCarthy of Firefly Design Studio. 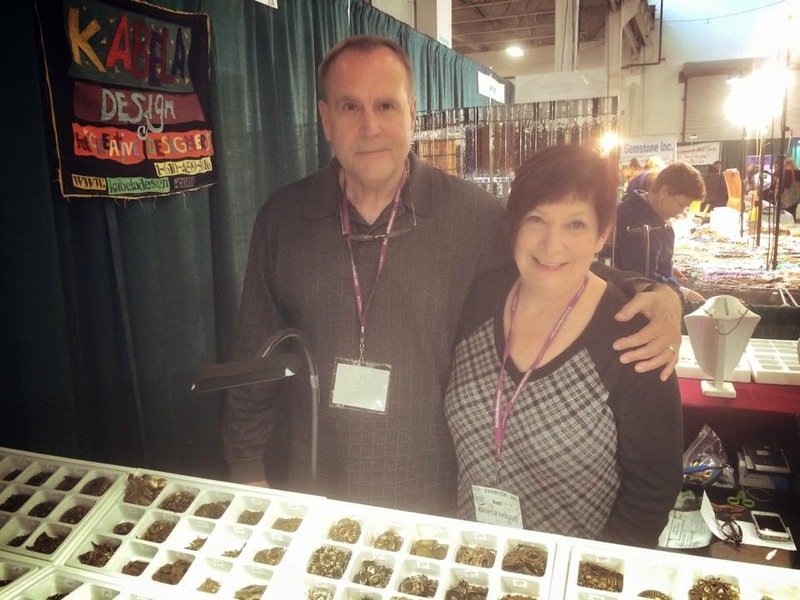 Tom and Beth Botak of Kabela Design.